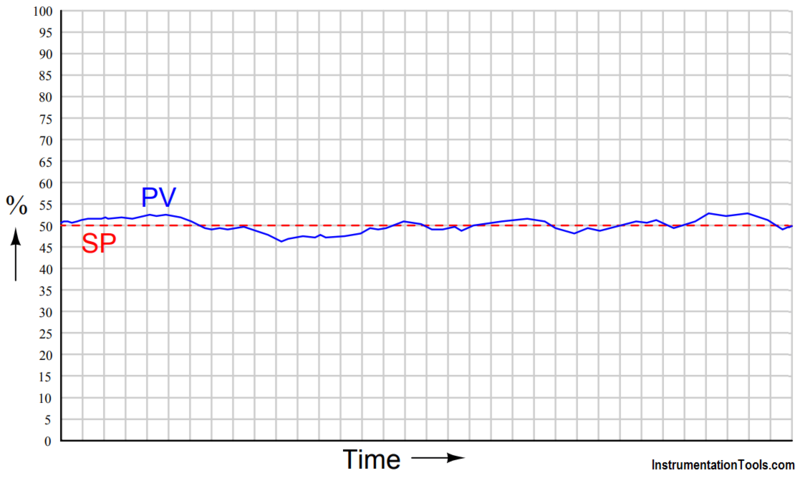 The “wandering” of the process variable (PV) around setpoint may be due to excessive action on the part of the controller, or it may be due to load fluctuations in the process itself. In other words, the instability may be the fault of the controller reacting too aggressively, or it may be that the controller is not working aggressively enough to counter changes in process load. Identify a simple method to determine which scenario is true. Hint: the way to check is as simple as pushing a single button, in most cases. Place the controller in manual mode and observe the PV trend!